April 10, 2018 by Christian. Palm Beach-bred rapper Malc Stewy has been steadily making strides towards success with his music over the years. Not too long ago, he caught the attention of NYC underground legend Smoke DZA. The Kushed God took a liking to him and brought him on The Smoker’s Club tour as well as The Key To Life tour with The Lox so he could get his feet wet on the road. 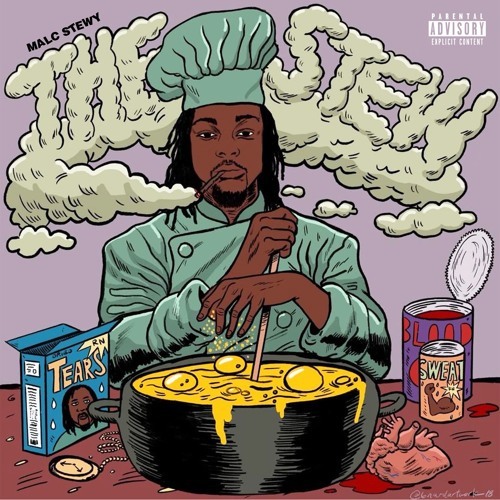 Since then, Stewy has been able to get in the studio, including several sessions with DZA, to put together a polished body of work called The Stew. At only 8 tracks in length, the project is an easy listen with high replay value through and through. With strong features from Miami-bred Freebandz artist Zoey Dollaz, noteworthy fellow Palm Beach rapper Eric Biddines, and of course Smoke DZA, there is plenty reason to give this a spin. The Stew is out now on all major streaming platforms.